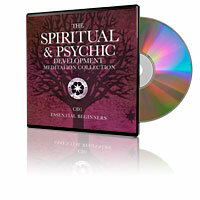 The Easy Way To Learn About All Matters Of Spiritual & Psychic Development. 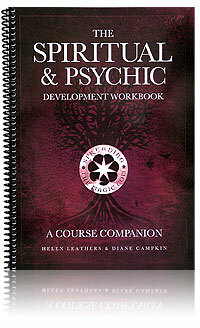 The Spiritual and Psychic Development Workbooks have been created by Helen Leathers and Diane Campkin. They came about as a result of their own personal journeys in determining their spiritual path and beliefs and developing their own intuitive and psychic abilities. They’ve spent many years attending, organising, and facilitating groups, circles, courses, and workshops, learning and teaching many subjects relating to spiritual matters and psychic development. These workbooks bring together their knowledge, experiences, and insights to create unique guides full of practical information, help, advice, and exercises. We Have Options That Are Ideal For individuals, Groups, Or Those Wishing To Teach Or Run Psychic Development Circles. Which Of Our Workbooks Would You Like To Find Out About? Finding courses, like-minded people or a safe space to work on your spiritual development isn’t always easy. So these workbooks start with the basics and build up from there. You set the pace and as you develop and find out what you like, and what you’re good at you can look at more advanced subjects. Here are the details of both workbooks. Just click on the + sign to read about each one. 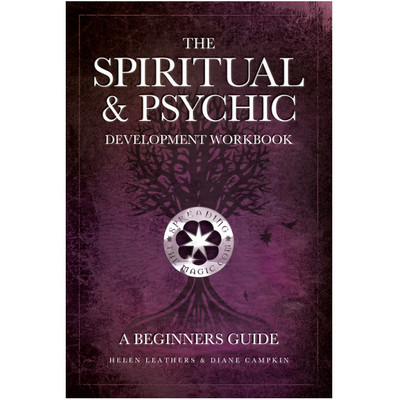 Building on our ‘Beginners Guide’ this workbook looks at the more advanced subjects within spiritual & psychic development. In an easy step-by-step process you can venture into subjects such as:• Deep Meditation • Energy work • 3rd eye chakra development • Past lives • Psychokinesis • Manifestation • Angelic energy • Psychic art• Automatic writing • Out of body experiences • Trance mediumship.In this workbook we want to continue to help you develop your own spiritual ethos and understanding as well as your natural psychic skills in a safe and supported way. Endeavouring to keep things as simple as possible, we provide various theories and practical exercises, include our top tips and share some personal experiences of our own. Not Sure Which Book Is For You? We consider these to be essential workbooks. They are based on our own lesson structures & course plans and our experience of running a psychic development circle, courses and workshops. Priced at £19.95 +P&P each you will also have access to free downloads of all our handouts and worksheets via our Readers’ Resources Page. PLUS all of the meditations and guided visualisations are available on CD or as mp3 downloads, which means you can just hit play and let us do the talking for you. Here are the details of both workbooks. Just click on the + sign to read about each one. An in-depth course book for workshop leaders, development groups or a bunch of like-minded friends. Based on our ‘Beginners Guide’ workbook, our ‘Course Companion’ is a step-by-step guide to running your own group, circle or workshops on spiritual and psychic development – or just use it for yourself! Based on our Advanced Workbook and following on from our Beginners ‘Course Companion’ this is a step-by-step guide to the more advanced subjects within spiritual & psychic development. Whether you’re running your own group, circle or workshops, or just using it for yourself this ‘Advanced Course Companion’ is an essential workbook based on our experience of running groups, courses and workshops. These Course Companions were originally created with a spiral binding for ease of use when teaching, however online stores such as Amazon won’t distribute them. So, if you buy one via Amazon it will be A4 perfect bound (i.e. with a spine). If you use the link to Lulu below you will be directed to our own publishing storefront and the A4 spiral-bound version which we thought more practical. All of the meditations and exercises from these workbooks have been created into a collection of CDs and MP3 downloads. The majority of these can be used as standalone meditations and all relate to the subjects and lessons in the workbooks. Below you can take a look at what is included in each collection. They are available as MP3 downloads and as CDs on amazon.com. As a valued reader we have put together a special price offer on meditation collections bought direct from us, check it out here. CD1 Essential Beginners Includes ‘Opening & protection when working on your own’ ‘Opening & protection for groups’, ‘Sending healing as a group’, ‘Closing & grounding’, lessons 1 & 2 of our ‘Course Companion’ – ‘Creating your sanctuary’ & ‘Connecting with your inner power’ PLUS a bonus track. CD2 A Guided Journey Meditations from lessons 3-7 of our ‘Course Companion’ – ‘Connecting with your spirit guide’, ‘Healing for you’, ‘Extend your senses’, ‘Crystal caverns’, & ‘Experiencing air’. CD3 To Higher LevelsMeditations from lessons 8-12 of our ‘Course Companion’ – ‘A waterside walk’, ‘Enhance your E.S.P.’ ‘Awakening your senses’, ‘Discover your totem animal’, & ‘Strengthening your connection with the spirit world’. AAC 1 ‘Advanced Meditative Exercises’ Includes ‘group opening & protection’ and ‘closing & grounding’, plus progressive meditative exercises with a specific purpose in mind: Deeper Meditation Exercises (lesson 1), Assistance with Trance Mediumship (lesson 11), and Out of Body Experiences (lesson 12). This CD is designed to be used our workbooks’ and with at least one other person. AAC 2 ‘Inner Journeys’ Meditations from lessons 2-6 of ‘The Advanced Workbook – A ‘Course Companion’ – ‘Enlightenment’, ‘A Walk Down Memory Lane ‘, ‘Journeys through the 3rd eye’, ‘Meet Your Guardian Angel’, & ‘Transforming Potential’. AAC 3 ‘Eternal Discovery’ Meditations from lessons 7-10 & 12 of ‘The Advanced Workbook – A ‘Course Companion’ – ‘The Inner Scribe’, ‘The Creativity Of Your Soul’, ‘The Garden of Abundance’, ‘Discover a Past Life’ & ‘Exploring the Astral Realm’.